The breakdown of the T has resulted in many calls for reform. I wrote this piece two years ago, and it seems worthwhile to reintroduce some of these points into the current discussion. Note: On July 1, 2014, Lexington’s LExpress bus service was extended into Arlington Heights, and now connects with the 77 bus at its western terminus. The September 9 Democratic primary offers the choice of three outstanding candidates for governor. I genuinely like all three candidates. I am impressed by the work of Martha Coakley and Steve Grossman as constitutional officers, and Don Berwick’s passion for progressive politics tugs on my heartstrings. However, as much as I like all three candidates, I find it obvious that Martha Coakley needs to be our nominee and needs to be elected governor in November. In my conversations with Martha Coakley, I find that she speaks with clarity and specificity on issues of concern, particularly those raised by educators and municipal officials. The reason is obvious. I first met Martha Coakley before she was elected Middlesex D.A., when she lived on Rawson Road. I remember when she visited Town Meeting as she prepared to run for District Attorney, engaging in thoughtful conversations about the office with everyone she met. Ever since she won her first election, she impressed me with her willingness to listen to folks at the local level, to ask questions, to engage in partnerships. She has earned a reputation as an outstanding leader and manager. Martha Coakley has never been the kind of top down official who would use the power of her office to force thoughtless and arbitrary mandates onto cities and towns. In sharp contrast, Charlie Baker has a longstanding record of disdain for K-12 school districts, and a track record of supporting widespread privatization of local services. His work as a founder of the Pioneer Institute, and his record as a member of the Board of Elementary & Secondary Education, give us significant warning that Charlie Baker would bring us right back to the Pioneer playbook that did so much damage to Arlington during the Romney years. Charlie Baker is a huge risk to progressive, pragmatic, and sound local governance. I want to elect the candidate who is best able to counter Charlie Baker’s privatization agenda. I know that Martha Coakley is best able to present and support sound, pragmatic arguments that will resonate with Massachusetts voters. Martha Coakley best expresses my values, and is our best hope for taking our commonwealth in a pragmatically progressive direction that supports excellence at the local level. 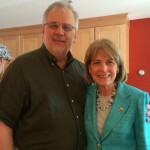 Please join with me in supporting Martha Coakley for governor in the Democratic primary, Tuesday, September 9. Note: Since this was posted, The Boston Globe is reporting that the parent company of Hannaford is bidding for Market Basket. Are they trying to buy themselves into the boycott? 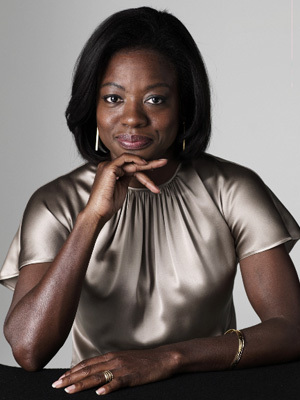 If corporations are people, perhaps Professor Annalise Keating has been consulting with some miscreant in the assault on Market Basket. 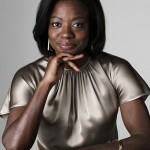 The good professor, played by Viola Davis, is the lead character in the new TV series, How to Get Away with Murder. We are watching the crime right before our eyes. The stores are on life support. No produce. No customers, except for the few who venture in to get a box of corn flakes or a can of tuna. I am sure that Professor Keating could talk about motive and opportunity, which all seem to point to Arthur S. and his family’s 51% share of the corporate votes. Plenty of opportunity, and the intra-family animosity would seem to provide significant motive for a crime of this nature. The evidence also suggests that Arthur S. and his side of the family wants to sell the chain, and they don’t want Artie T. to be the successful buyer. Market Basket may have been an attractive takeover target a couple of weeks ago, but that’s not the case when customers are entrenched in a boycott unless Artie T. prevails in the current dispute. Not very attractive if Piggly Wiggly wants to expand into New England, because your entire local operation would be a collection of stores that nobody will want to visit. Hannaford would be thrilled to see Stop & Shop or Shaws publicly buying Market Basket, with the boycott expanding to their stores. Stop & Shop would be thrilled to see Hannaford or Shaws publicly buying Market Basket, with the boycott expanding to their stores. Shaws would be thrilled to see Stop & Shop or Hannaford publicly buying Market Basket, with the boycott expanding to their stores. If a mysterious buyer appears and wins Market Basket, one would need to wonder who is behind a Blissful Supermarket Trust, why they would want to buy Market Basket, and why a majority of the board would rather put it in the hands of this outside party instead of a group headed by Arthur T.
Clearly, with the customer boycott in full force and former Radio Shack CEO Jim Gooch at the helm, Market Basket’s death under new ownership could be quicker than an Oklahoma execution. 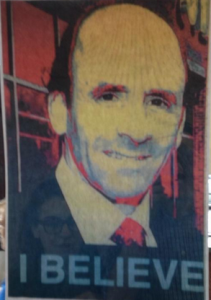 Why would an outside bidder come in to kill Market Basket, and why would the Board of Directors push the chain into a rapid and painful death? We will probably need Professor Annalise Keating to supervise the autopsy and unravel all the details of the crime. Let’s hope it doesn’t come down to that. have a good idea who makes the movie when this episode plays out. If Arthur T. (Artie T.) Demoulas and the workers prevail, it’s a happy Disney movie. If Arthur S. Demoulas, Felicia Thornton, and Jim Gooch maintain control of the company and continue on the current course, the Coen Brothers should make the film. I am more than puzzled by the actions of the DeMoulas Super Markets (DSM) board, sacking the CEO who turned a supermarket chain into a highly profitable and beloved local institution. By all accounts, the directors represent the majority shareholders of this family owned business, shareholders who could sit back and watch tens of millions of dollars roll into their bank accounts every year because shoppers and employees were extremely loyal to their stores. I know that being a school board member is a very different kind of experience, but I can’t imagine any board placing their organization into a deliberate death spiral. Yes, school committees are accountable to voters, and the Market Basket board is only accountable to the pocketbooks of the majority shareholders, but it still makes no sense. The DSM board has the power to replace Artie T. and the power to take control of their buildings. 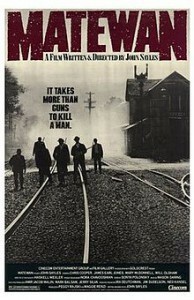 Of course, this would require a management effort reminiscent of Matewan. Is James Earl Jones a Market Basket store manager? The problem is that contracted truckers and security guards can force the lettuce into the store, but it can’t force the customers to come in and buy the produce. It certainly won’t trump the goodwill built over the years by the employees and policies put in place by Artie T.
The DSM board will meet again on Friday. They can find common ground, reinstate Artie T., and start to put the pieces back together again. Or they can stand firm, and not let a plethora of workers and customers tell them what to do. If they don’t find a way to bring back Artie T. and the fired employees, I don’t know how they escape the death spiral. The magic will be gone. The fanatically loyal customers will disburse into the land of Hannaford and Stop and Shop. 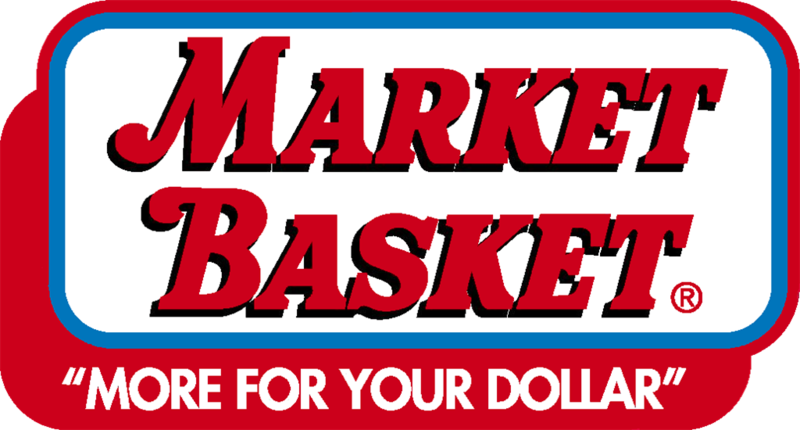 Some large corporation will buy out the business, rebrand the stores, and Market Basket will be nothing more than a fond memory. The folks on the DSM board will walk away with a few less millions in their pocket, but they will walk away with the smug satisfaction that they ran Artie T. and his loyal employees out of the store. Multi-million dollar vengea nce. I guess they can afford it, but it comes at a very high price. 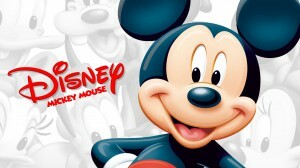 I hope Artie T. gets his job back and we get the Disney movie of the underdog baggers and cashiers prevailing over the evil corporate directors. Even more important, I hope I can spend a week following Artie T. around as he runs these stores. I want to know how he does it. Before you read on, please think about the amount you need to increase your school budget to maintain level services. Assume a steady enrollment, no new expenditures, just enough to do next year exactly what you are doing this year. Sadly, this is the inflation rate built into the FY15 foundation budget under the governor’s proposal released this morning. The foundation budget, the amount defined under education reform as the minimum funding required to provide an adequate education, is a key factor in determining Chapter 70 aid. After the state calculates the foundation budget, it calculates the amount a municipality can afford to spend based on a community’s wealth, which becomes the minimum local contribution. The state is obliged to contribute the difference between the minimum local contribution and the foundation budget, which is defined as Chapter 70 aid. This is an oversimplified description, as there are some other calculations that govern the minimum local contribution, but it describes the system accurately enough to engage in a conversation about statewide trends. A 0.34% increase in statewide enrollment, from 937,604 to 940,831. A 1.67% increase in the statewide foundation budget, from $9.704 billion to $9.866 billion. A 1.20% increase in the statewide minimum local contribution, from $5.748 billion to $5.818 billion. A 0.86% increase in the statewide per pupil minimum local contribution, from $6,131 to $6,183..
A 2.30% increase in the statewide Chapter 70 aid, from $4.301 billion to $4.400 billion. A 1.95% increase in the statewide per pupil Chapter 70 aid, from $4,587 to $4.677. We have been raising fees, raising local property taxes, and cutting services since the inception of education reform because the foundation budget has not risen proportionate to the increased costs of providing an adequate public education. This year’s paltry proposed 1.32% increase in the per pupil foundation is just another year that Massachusetts public school students will lose ground. What’s the incentive for the state to under-inflate the foundation budget? Let’s assume the local contribution does not increase (because it is capped), which means that a larger increase in the foundation budget would need to be funded through Chapter 70 aid. A conservative 2.5% increase in the per pupil foundation budget, along with no increase in the minimum local contribution, would require a 4.62% increase in the Chapter 70 line item. Instead of a $90 increase in per pupil Chapter 70 aid, it would require a $212 increase in per-pupil aid, and it would cost the state an additional $52.3 million over the governor’s proposal. We haven’t even talked about special education, or the increased need for technology that wasn’t anticipated when the foundation budget was devised in 1993. But there are other line items that fund special education and needy students. How are these line items funded in the governor’s budget? Non-Resident Pupil Transportation: $3,000,000 funding zeroed out in FY15. Circuit Breaker: FY 2014: $252,489,224. FY 2015: $252,513,276. This is a $24,052 (0.01%) increase. Don’t think the municipal side of the budget will have any spare change for the schools. Unrestricted General Government aid for FY 2015: $920,230,293 is level funded. All is not bleak in the education budget. Innovation Schools get a 360% increase, from $1,000,000 to $4,604,123. The combined spending for the Department of Elementary and Secondary Education and the Executive Office of Education increases by 2.87% from $15,226,375 to $15,663,792. Look on the bright side. After all the cuts precipitated by the paltry Chapter 70 increase and all the other level funded line items, you can get extra money to provide an increased quantity of diminished product. Time to call our members of the Great and General Court.